It was in 1992 that I first got to know Gamini Dissanayake. I was taken one day by my friend Mr Malinga Herman Gunaratne to see Gamini D at his Alfred Place house. Having announced his arrival, Herman Gunaratne was immediately ushered into Gaminis presence and minutes later, he came back for me. After a long chat upstairs, Gamini D presented signed copies of his 50th birthday felicitation volume "50, A Beginning" to both of us. After we left his house, Herman Gunaratne asked me "Isay, do you know? This is the fist time I met Gamini after my book was published." I was incredulous. The book Herman Gunaratne was referring to was "For a Sovereign State" where Gamini had been depicted in a very poor light. I could not believe that Gamini Dissanayake would have extended such a cordial welcome to a man who had been responsible for publicising his weakness to the entire world and I told Herman Gunaratne so. Herman Gs reply still rings in my ears. "Isay, THAT is Gamini Dissanayake!" Even though he had depicted Gamini D in a bad light, and had fallen out with him, and not been on talking terms for several years, Herman G did not hesitate to take me to be introduced to Gamini D as if he had been a close confidante all the while. And all through the long conversation, I never suspected that these were two enemies talking to each other. That was my introduction to Gamini Dissanayake. Why I wanted to see Gamini D at that time was because 1992 was the year in which Democratic United National Front (DUNF) was in full swing. Like many people, I too was captivated by the attempt being made by leaders like Gamini D and Lalith Athulathmudali to tame President Premadasa. What they were doing was absolutely necessary at the time and as a result of that struggle, Gamini D in my mind had assumed heroic proportions. Some later blamed him for splitting the party, but anybody who would have been watching the situation in the early nineties would have seen that the harassment meted out by President Premadasa and his lackeys to perceived rivals like Gamini D and Lalith Athulathmudali was hardly tolerable. The actor Jackson Anthony, who at that time, worked for the Library Services Board once told me of a spectacle they were subject to at the opening ceremony for a new building for the LSB in 1989 or thereabouts. Lalith Athulathmudali who was then still in the cabinet as Minister of Education, had put aside his notes and delivered a superb off the cuff speech about his long association with books and about famous libraries in the world which he had visited. President Premadasa who was to speak next had been visibly agitated during Athulathmudalis speech. When it came to his turn, he had stormed to the podium and emulating Athulathmudali, put aside his prepared speech and wild eyed and perspiring he had launched into a tirade in the course of which he had even bellowed that people should not be slaves to knowledge or books or something to that effect! The rivalry between Premadasa and his intellectual betters in the UNP had reached ridiculous levels and expecting people like Lalith and Gamini to tolerate it indefinitely was nonsensical. So long as Ranjan Wijeratne was alive, he could keep the party together. But the moment his restraining hand was removed, the UNP split. Arbitrariness during the Premadasa regime extended not only to internal politics of the UNP but into matters of wider public interest as well - the honeymoon with the LTTE being a case in point. The idiotic decision to give weapons to the LTTE is one such arbitrary action which leaves the UNP speechless even today. So when Gamini D and others broke away from the UNP they were pursuing their own interests as well as the public interest. And it was in their capacity as leaders of the DUNF that both Lalith and Gamini D really emerged as national leaders. Their standing rose as a result of launching a struggle for democracy against the Premadasa UNP. The Gamini D who rejoined the UNP in 1994, was several feet taller in stature than the Gamini D who left it in 1991. I have to coin a special term to describe the man -total politician. He had no enemies, only friends. For Gamini, an enemy was someone who out of his own malice would refuse to see Gamini. He himself never refused to see anyone. And his lack of malice was genuine. Gaminis biggest political weapon was his tremendous personal charm. He was the UNPs prince charming in 1977, and that is what he remained until his death. Gamini D was a brilliant political organiser and it was he who really rubbed President Premadasas snout on the ground with various well organised political gundus. One would think that a man who could organise a mans downfall so elaborately, must be a real schemer, an unscrupulous man who would stick at nothing to get his way. But Gamini was not that. Ambitious he certainly was. But not in a desperate, sinister kind of way. Believe it or not, I discerned a strong streak of genuine upekkha in the man. For a man with vaulting ambition, he displayed a strange equanimity -which is why he was able to treat friend and foe with the same cordiality. Gamini D was a first class PR man. He did it without effort, without the slightest artificiality. Anybody going to see him would get the impression that he was genuinely pleased to see him. And he had plenty of time for everybody. One of Gamini Ds chief characteristics was that he had an infinite capacity to suffer fools gladly. Again that phrase upekkha crops up. Few men could have listened to the nonsense that Gamini D had to endure everyday and still remain smilingly good natured. He was inured to the ways of the political world. And thats what made him a total politician. J.R.Jayawardene was a recluse, a sage. Lalith Athulathmudali was an enthusiastic University don. Ranil Wickremasinghe a political executive, Ranjan Wijeratne a Genral, but Gamini...He was a POLITICIAN! Just as he had the capacity to welcome even an enemy like a friend, he also had the capacity to compromise. He would not hesitate to adopt even his enemys position if that gave him a new ally. After he came into the UNP in 1994, and was selected as the UNPs Presidential candidate, he even promised to carry forward Premadasa policies and thereby won the support of the Premadasa family. The fact that Premadasa had nearly finished him off politically, was forgotten. That was Gamini D. Gamini was a natural compromiser. There was nothing contrived, or Machiavellian in the compromises he struck. In fact, even those who are able to make him compromise on some issue would never have regarded it as a triumph. They would be enveloped in Gaminis infectious charm and good nature and consider it their good fortune to be on the same side as Gamini D! Given this proclivity to compromise, one might ask, "Was Gamini an opportunist?" My answer would be "No, he was a politician"
Gamini was in some senses too dependent on his personal charm. When his charm failed to produce the desired result, he would get confused and become totally helpless. The situation my friend Mr Herman Gunaratne had depicted in "For a Sovereign State" was precisely one such instance. One of the black marks in Gamini Ds political life was to be suspected of having organised the burning of the Jaffna Public Library. However, Dr Neelan Tiruchelvam himself has gone on record in Parliament saying that Gamini was not even in Jaffna when the burning took place. Another former confidante of Gaminis who later fell out with him, told me that when Gamini heard about the Jaffna Library being set on fire, he had wept. Gamini, though he had a history of being a Sinhala nationalist, was no wild eyed zealot. 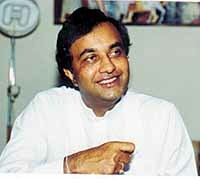 N.Ram of the Hindu, writing in 1992, appreciated "Gaminis constructive and far sighted attitude, his loyalty to the peace process which you could depend on through thick and thin..." and further that "Gamini Dissanayake, the aggressive Sinhala nationalist politician of yesteryear, proved to be a trusted and generous friend of the Tamil moderates... His personal contribution to their security in Colombo was deeply appreciated..."
As a member of the governing team during the J.R.Jayawardene years, Gamini also displayed the administrative ability that most UNPers generally seem to possess. Quite apart from implementing the Mahaweli project within one fifth of the originally projected time frame, Gamini, (who knew nothing about plantations) as the Minister of Plantation Industries functioned just as efficiently as Ranjan Wijeratne who knew the plantations sector like the back of his hand. These days, when people think of Gamini, it will invariably be in the context of "If only Gamini had been here..." The general impression being that if Gamini had been around, he would have been able to do what Ranil has not been able to do. That of course is conjecture. If Gamini had won the Presidential election in November 1994, then Chandrika would have been OUT before she was IN. But if he contested against Chandrika and lost he too would have had a tough time just like Ranil. There is no denying the fact that Gamini was much more of a politician than Ranil. Ranil is more of a political executive than a politician. He can be every bit as charming as Gamini but only in fits and starts. One thing that gave Gamini a distinct advantage was his battle against Premadasa. He had prior experience of clashing with the full power of the executive Presidency and even improving his own political standing in the process. This gave him an advantage over Ranil. Today, when people say that Gamini could have done what Ranil has failed in, what they think is that since Gamini gave Premadasa the works, he would have been able to give Chandika the works as well. That point however, was never tested. Gaminis political skills were superior no doubt, but he was helped by the fact that Premadasa was a very easy target. Given his behaviour, it was very easy to turn President Premadasa into a hate figure. And Premadasas propaganda machine was a flop. His idea of propaganda was to make several TV appearances a day, all 365 days of the year! And the morons he hired to sing his praises added fuel to the fire by trying to shove the greatness of Premadasa down the throats of the public. In contrast to that of Premadasa, the PA propaganda machine has been far more subtle and effective. Their abuse of the media is just as serious, but they intensify their propaganda only during an election campaign or during a crisis without trying to maintain a continuous barrage of propaganda. And once in power, Chandrikas own very considerable political skills would have come into play and it would not have been easy for Gamini. Moreover, the SLFP has had a historically confirmed ability to appeal to the idiocy of the Sinhala masses, and even Gamini could not have competed with that. Gamini scored against Premadasa by appealing to peoples better sensibilities. But Chandrika appeals directly to the idiocy of the masses and to their baser instincts. How would Gamini D have handled that? Furthermore, Chandrika has proved herself to be a much bigger compromiser than Gamini. Gamini would never go to the extent that Chandrika has gone as for example in appointing the present ridiculously large cabinet. What have these Ministers not got from Chandrika that they would have got from Gamini? Chandrika also has the same repertoire of weapons that Gamini had! It can also be surmised that Gaminis tendency to strike compromises would never have gone as far as Chandrika. In his willingness to compromise, Gamini might be placed in between Ranil and Chandrika. So it is futile to conjecture whether Gamini would have been able to do better than Ranil. In any case, Gamini is no longer with us. But it certainly would have been very interesting to watch a fight between Gamini and Chandrika! Had he been alive today, Gamini would still have been quite young for a politician. He would have turned just 59 on the 20th of this month. Gamini D was one of JRJs successes. He was a politician who could have been one of Asias great statesmen. The single major mistake that JRJ made in his political career was in not selecting either Gamini or Lalith as the Presidential candidate in 1988. Gamini had tremendous personal charm and was a suave and polished politician. He was ambitious, but a gentleman and a complete democrat. I consider it a privilege to have known him.